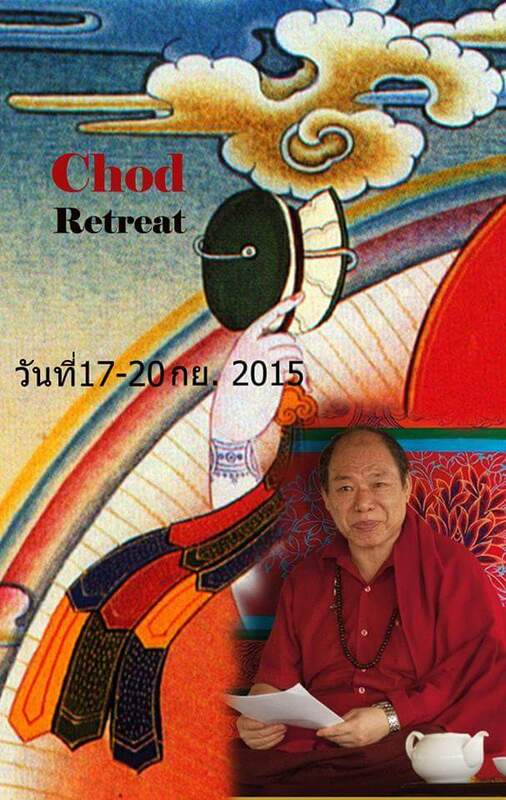 Tsewong Sitar Rinpoche, a great meditation master and Chöd specialist who has spent 20 years in solitary retreat, Tsewong Rinpoche has achieved a high level of inner realization and power. 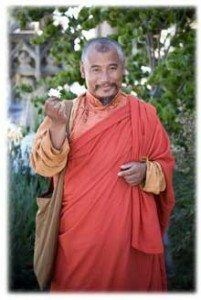 But he is also renowned in his native Bhutan for his unique healing ability and skills in prophecy. Tsewong Sitar Rinpoche is a master of the Nyingma tradition of Tibetan Buddhism, trained in the Ngakpa traditions since early childhood. The ultime goal of Buddha Dharma is complete liberation from our illusions and fixations. But along the way, Tibetan Buddhism has an extraordinary repertoire of skillful means to help smooth our journey. In these difficult times, the practice of “Hooking in Wealth” is a powerful and essential tool. Tsewong Sitar Rinpoche will teach this simple and effective method of drawing in the universal forces of life enrichment, based on the revealed treasure of PeGyal Lingpa. Combined with the mantra of Zambhala, this practice helps our financial security, the stability of our home and career, and nourishes all aspects of our physical and emotional life. Location: Welcome Palace Apartment (Ram’s place) on Naret rd. (a one way street), off of Sriphraya road. If you are coming by Sub-way (easiest) you can take the Samyan station exit in front of the temple then catch a Taxi or take a Motorbike Taxi (20 Baht) from there by telling them to go to Bangrak Police station. If coming by BTS you can get off at Saladaeng station and take a taxi from there as well. You can just tell the taxi to come to the Bangrak police station if you are coming directly from elsewhere. Once at the police station, my building is an old white building just before the station, come on the 12th floor on the right side and you’ll see a big door and I’ll be in there. If you see a lot of Africans in the building it means that you are in the right building. And the map on google-map is below. Please feel free to call Ram at 081-9855564 or email ram@pluslab.com if you have any questions : -) and feel free to invite others who might be interested as well. 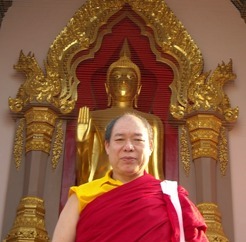 At the the very heart of Mahayana Buddhism is the method of Tong-Len, the practice of Taking and Sending. What we take in, is the negativity, karma and suffering of other sentient beings, and we give out peace, freedom from suffering and positive qualities of all kinds. Surprisingly, instead of this being “toxic” or dangerous for the meditator, it is deeply healing. It clears vast oceans of our own negative karma and helps develop a deep sense of compassion, while freeing us from anxiety and pessimism. It is the ultimate portable practice, useful everywhere in daily life. Tsewong Rinpoche will lead us in a concise explanation and meditation practice of Tong-Len. 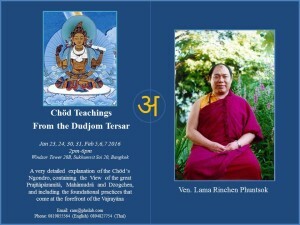 Additionally, Tsewong Rinpoche will transmit the long-life blessing of Red Vajrasattva.